You're probably fed up with paying too much tax through your Umbrella Company or maybe you're just starting out as a contractor and want to be as tax-efficient as possible? 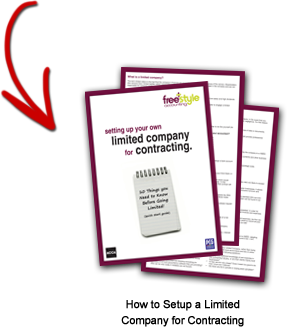 Whatever the reason, you'd like to know more about how to setup a Limited Company and what’s involved in contracting through one. What if you could get these questions answered in the next few minutes? What is IR35 and are you affected by it? In a few minutes you will have a much clearer picture of what you need to do and what’s involved in setting up your own Limited Company. To get this all this professional advice, written by our own in-house Chartered Accountants, simply enter your name and email in the form provided.